Hi all! I made a Mexican Peasant dress for the Tableau Spring Color Festival. More clothes and skins will be coming out this week so keep an eye out! 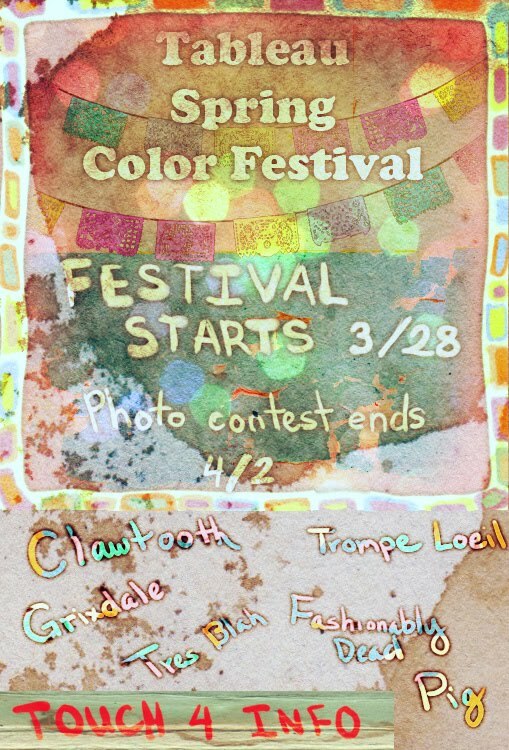 Big party extravaganza and photo contest results revealed on 4/2 at 7pm sl time! Photo contest rules: Pictures must be taken in Tableau! 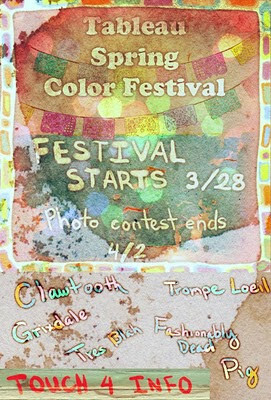 All photos must be in the group by 4/1! 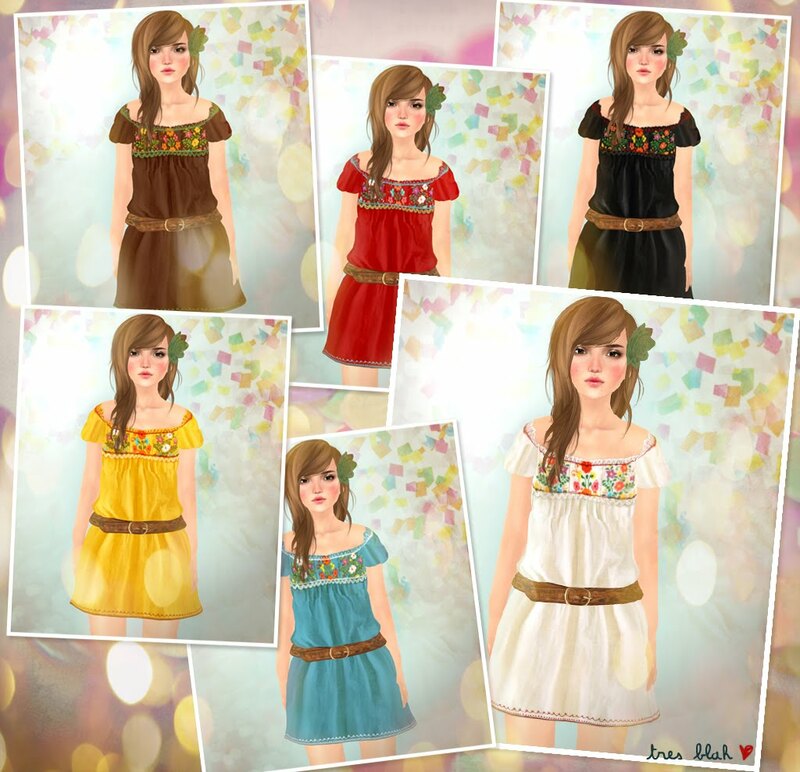 The theme for the contest is a spring time Mexican fiesta! If you have any questions please contact Toast Bard! The winner gets a specially decorated retro mobile home and gifts from designers! Other wise please STOP using my IMAGES and DESIGNS they are copyrighted material and you are breaking International agreements and laws.